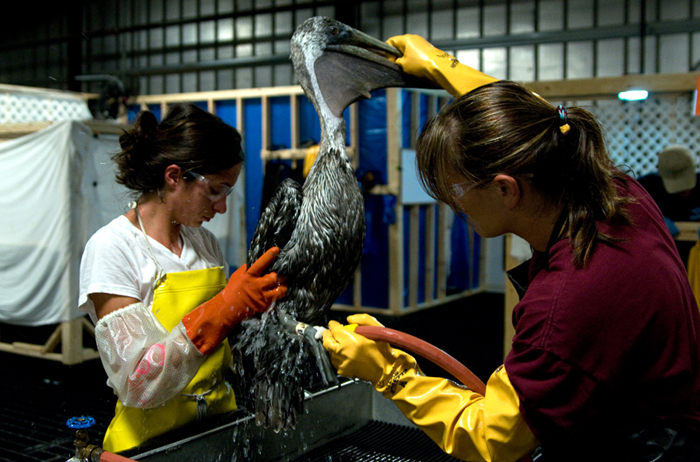 In April of 2010, the world watched in horror as images of brown pelicans, plastered and suffocating in tide-pools of oil, flickered across their television screens during the largest accidental marine oil spill in history: The Gulf oil spill. Months later, the Macondo well was finally sealed and the media slowly pulled their cameras away, redirecting their attention to other disasters around the world. They left much of the public with the most disturbing visuals to store as lasting memories, with many stories untold and unfinished. My documentary, “I’ve fallen in love with the pelicans”, is a story of the birds after the oil; about the people who spent endless hours and months of their lives to rehabilitate every single in-processed bird; a story of the birds that didn’t make it, and of the ones that were banded and released back into the wild. It’s also a story that went on months after the Macondo well was sealed . . . and, two-years later, continues to unfold. 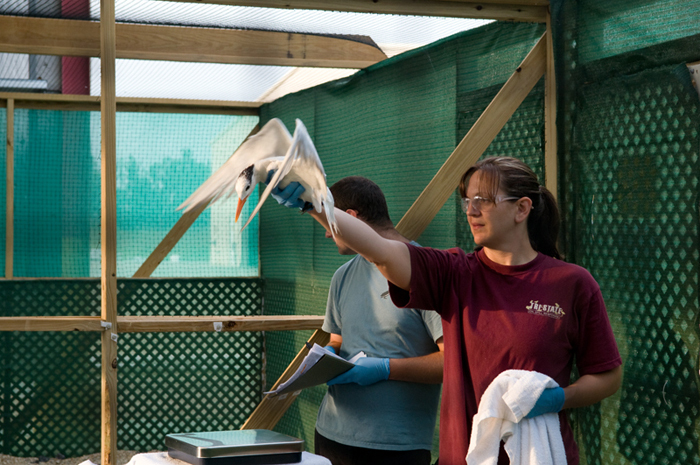 From April 2010 through January 2011, the Gulf oil spill’s Wildlife Response Effort (Louisiana, Mississippi, Alabama, Florida) rehabilitated and released 1,465 birds. 612 were brown pelicans. 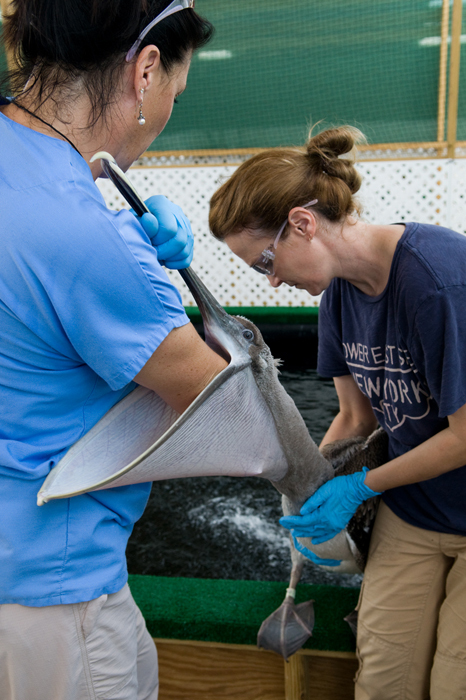 Since the 1990’s, wildlife rehabilitation organizations such as Tri-State Bird Rescue & Research (the lead wildlife responders during the Gulf spill), have been struggling to counter a widespread belief that emerges with every oil spill–that wildlife rehabilitation is unsuccessful. This belief was the result of a widely published investigation that tracked rehabilitated and released pelicans from oil spills off of the coast of California. 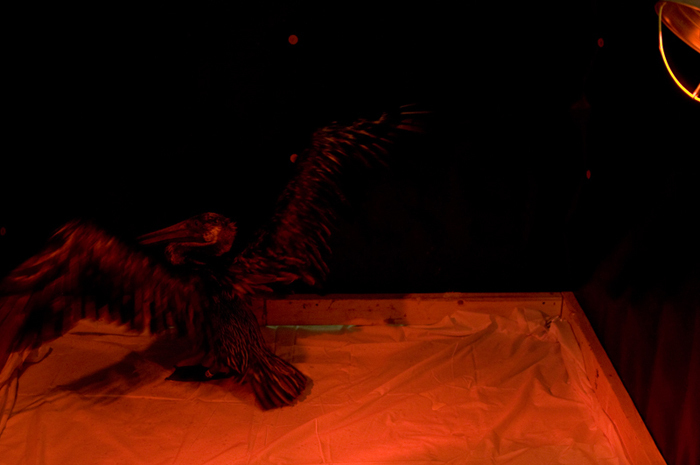 The findings were that rehabilitated birds, specifically pelicans, rarely survive more than a few years in the wild after being released, and if they do, they fail to breed. It also suggested that funding for wildlife rehabilitation following an oil spill should be redirected towards other areas of concern. Although Tri-State immediately wrote an elaborate rebuttal to the investigation, citing faulty conclusions and requesting critical supporting data that was omitted from the report, they were denied publication, leaving the public with only one side of the story. Over the years, rehabilitators have failed to receive sufficient funding for efficient tracking devices, but since the Gulf oil spill, there has been a community effort among individual scientists and Department of Wildlife and Fisheries (DWF) members to keep a watchful eye on the Gulf’s banded birds in their areas. 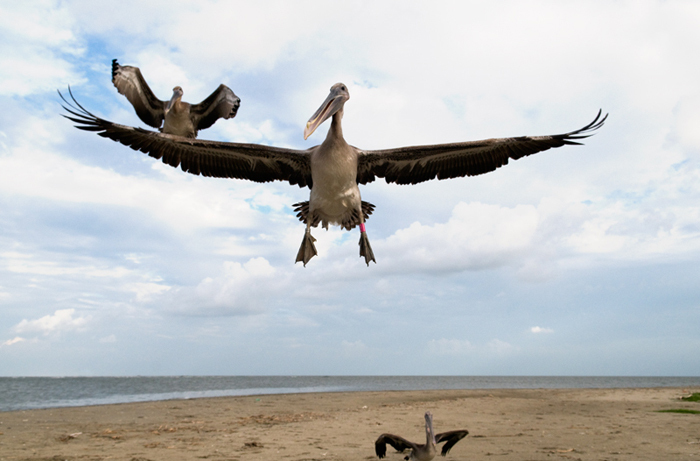 As of March 2012, there have been confirmed sightings of 98 individual released, healthy brown pelicans in the wild. Of those 98, there have been 8 sightings of Louisiana’s brown pelicans in Georgia, nesting with eggs or young, and 17 healthy chicks are confirmed to have fledged from adults that were oiled and rehabilitated during the spill. What most of the public is not aware of is the mortality rate of baby brown pelicans: Only 30-40% survive their first year in the wild under natural circumstances. 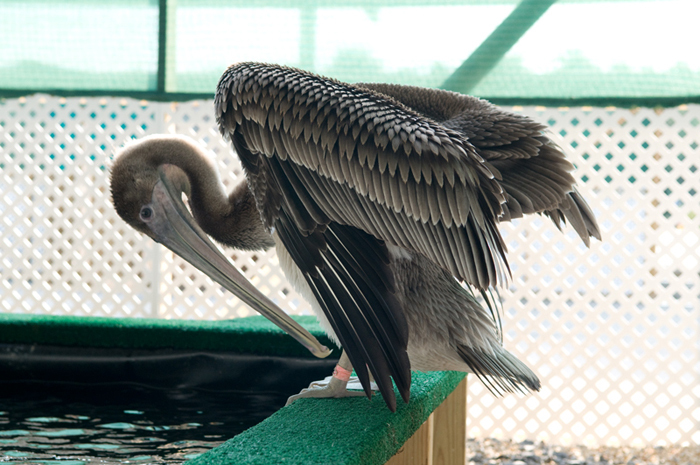 Over half of the 612 released brown pelicans were in their first year of life–many developing the skills to recognize fish and feed on their own from the rehabilitators in the absence of their parents. When the Deepwater Horizon exploded in the Gulf of Mexico, I, like the media, was determined to capture the most tragic of sights, but my motives quickly changed after spending a week with a few charter captains, contracted by BP as transporters, in Venice, Louisiana. They were disgusted with the media and daily cash offers to take them to the “oiled pelicans;” but most of all, they were sickened by the media’s eagerness to find tragedy, and their deep disappointment when none could be found. I could empathize: Louisiana was their home, as it was also my home. It wasn’t just about capturing a priceless photograph and then leaving for the next job. 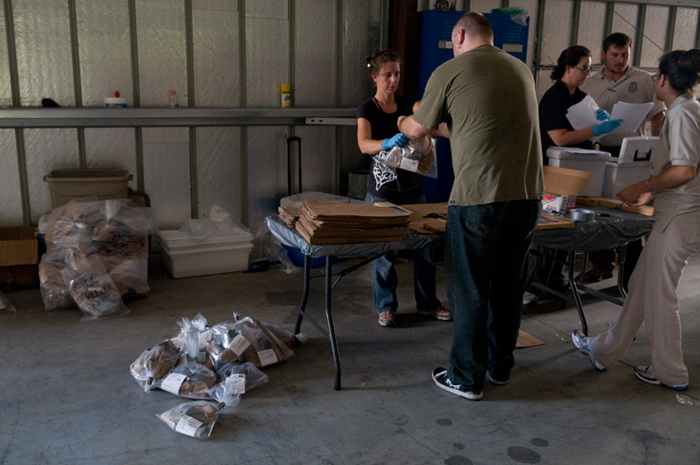 In June, I submitted my application to volunteer with the Louisiana State Animal Response Team (LSART), the local organization providing manpower to Tri-State. In August, I began working shifts at the Wildlife Rehabilitation Center in Hammond, Louisiana. 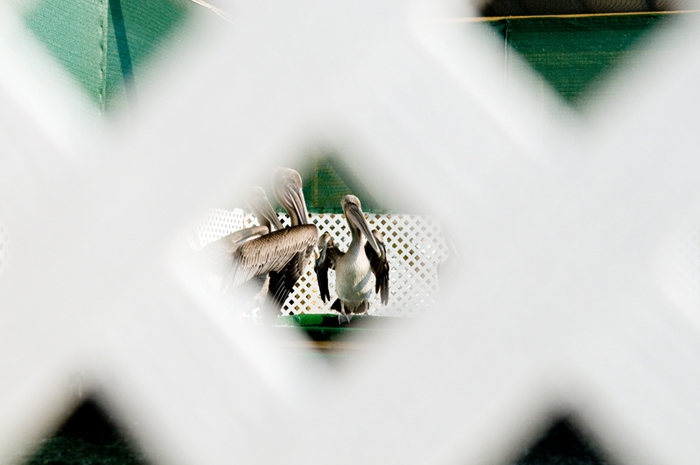 “I’ve fallen in love with the pelicans” is a phrase I heard more than once from the people who gave the Gulf’s wildlife a second chance. JT Blatty is a New Orleans, Lousiana based photographer. To view more of JT's work, please visit her website.